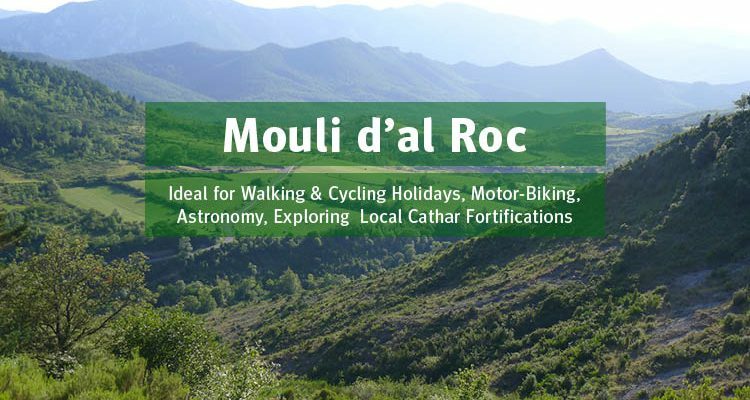 Mouli D’al Roc is a leisure centre that provides holiday accommodation and extensive facilities suitable for hosting private parties, club events and music festivals. 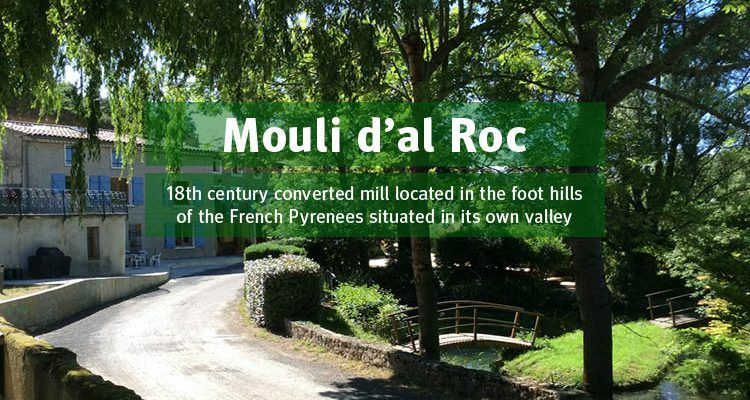 Mouli D’al Roc is the Catalan spelling of Moulin Du Roc (the French spell it this way). The leisure centre is an 18th century converted mill located in its own valley in the foot hills of the French Pyrenees. The leisure centre is surrounded by fields, forests and walking trails. A stream runs through the length of the property. 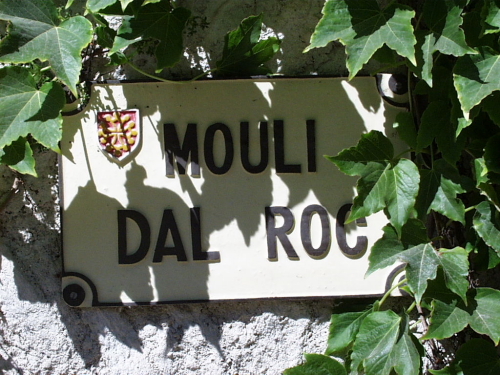 The ‘Location’ of Mouli D’al Roc is on the D609 2km outside the village of St Julia De Bec. We are approximately 10k from the main town of Quillan. 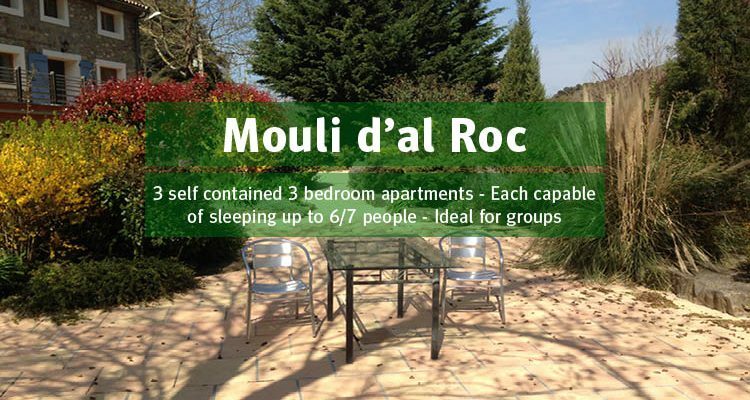 The ‘Accommodation’ at Mouli D’al Roc includes 3 self catering Balcony Apartments each capable of sleeping between 5/6 persons and an Auberge Apartment which can cater for 4/8 people . 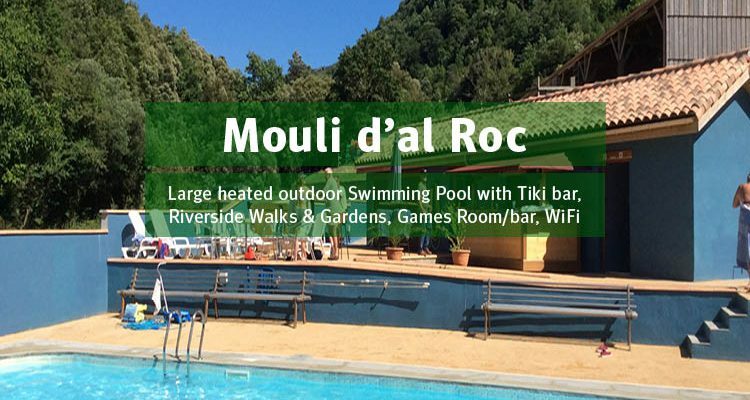 Mouli D’al Roc facilities include a large heated outdoor ‘Swimming Pool with Tiki Bar’, Terraced Gardens, ‘Indoor Bar and Games Rooms’, illuminated Outdoor Patio with Carp Pond. The surrounding Fields are used for grazing farm animals, making hay and have also ben used for staging ‘Music festivals’. Additional Leisure Facilities such as ‘Indoor Bar and Games Room’ are also available for use by guests. The Games Room has pool tables, table football and satellite TV. An ‘Astronomical Observatory’ is located across the valley from the Moulin. The observatory is walking distance from the main building and contains a 14″ Meade GPS LX200 Telescope. The telescope is available for use by guests who have an astronomical understanding. The Moulin is also a ‘Working Farm’ with sheep, goats and ponies grazing the mountain pastures with their attendant La Patou (Great Pyrenees) guard dog. The term “pastou” (pronounced patou) is derived from the word “pastre”, meaning shepherd in old French and is part of the flock. The Moulin is registered Wildlife Refuge where hunting is not allowed. We are an off beat and informal place deliberately choosing the chaos of relaxed behavior, be it human and animal over rigid management. The conversation flows freely and unfortunately for my kidneys so does the wine. In the case of an emergency, we can with one phone call arrange for an intoxicated sufferer to be hooked up to local detoxification facilities, but this inconvenience will soon be avoided as we have plans to install a portable unit. 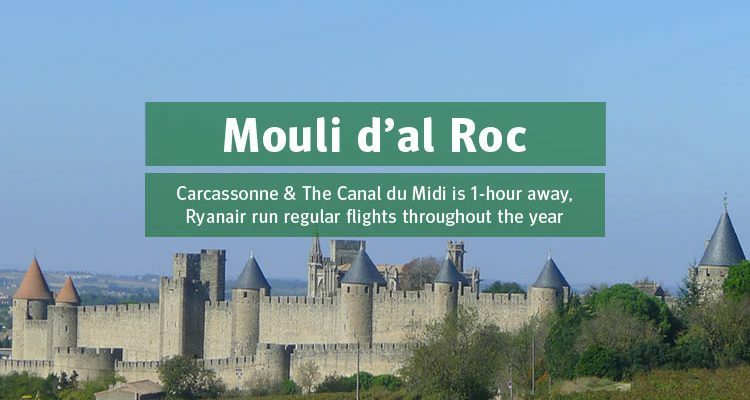 Mouli D’al Roc has hosted a variety of events from 100 visitor wedding receptions to 1500 visitor music festivals. The large ‘Music Festivals’ being performed in one of Mouli D’al Roc’s fields with its own mountain Amphitheatre. Day or evening events can be readily accommodated. Please explore our web page and talk to Mouli D’al Roc for your specific holiday or event requirements.